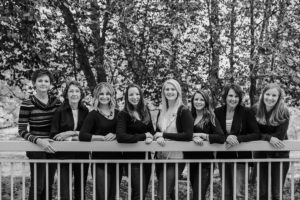 All of our therapists are certified by the American Speech-Language Hearing Association and licensed in the state of Idaho as speech-language pathologists. Many of our therapists are PROMPT trained, which we find helpful for working on a variety of speech production disorders. 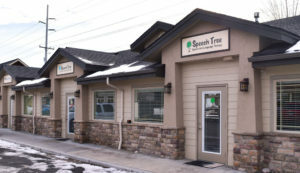 Speech Tree is located in Eagle, Idaho and Ontario, Oregon. We accept all major insurance plans and Medicaid. Caitlin received a B.A. from Boise State University in 2009 and later took an opportunity to study Spanish in Costa Rica in 2011. She graduated with her M.S. 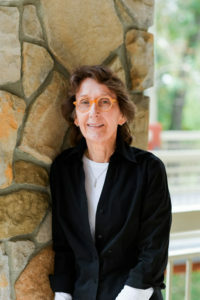 in Speech-Language Pathology from Idaho State University in 2017. 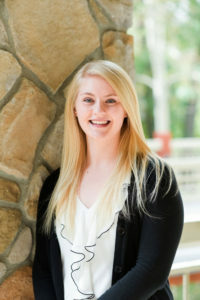 During her time at Idaho State University, Caitlin had the honor of working closely with a professor on a project aimed at improving how quickly infants with hearing loss begin to receive services and improving overall coordination of care and follow-up among service providers who work with this special population, particularly in rural Idaho. Caitlin has experience in schools, outpatient clinics, and acute care settings, were she gained invaluable knowledge regarding assessment and treatment of communication and swallowing disorders among many different populations. 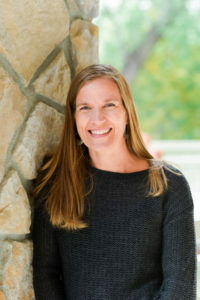 Caitlin’s professional interests include phonology and speech sound disorders, cleft lip and palate, early language development, play-based therapy, feeding and swallowing, and serving bilingual populations. Additionally, Caitlin is a member of Special Interest Group 5 for those with Craniofacial and Velopharyngeal Disorders. 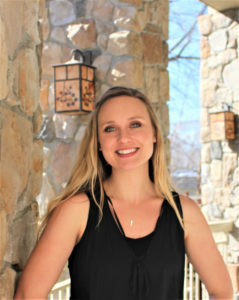 In her free time, Caitlin enjoys hiking in the Boise foothills with her dog, mountain biking, traveling abroad, and attending concerts with her fiancé. Debbie has been with Speech Tree since August 2010 after taking several years off to raise her three children. 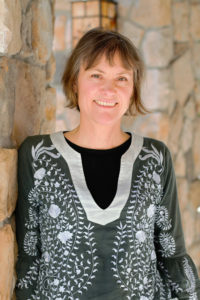 She graduated from Utah State University in 1995 and finished her Master’s degree from San Jose State University in 1998. She loves her split role as SLP and mom. 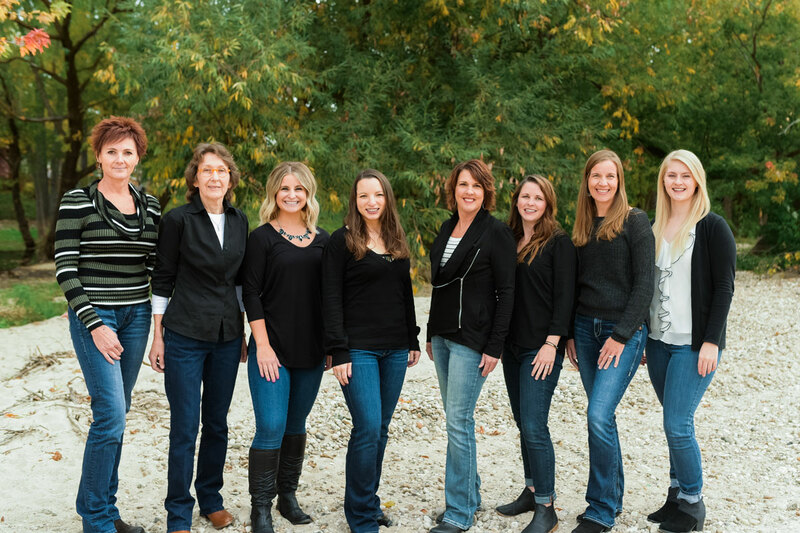 Debbie specializes in toddler and preschool-aged kids, but enjoys children of all ages. She has a strong desire to encourage and empower parents to help their children reach their potential with speech and language skills. She offers practical, real-life suggestions for busy parents and is loved by her clients. In her free time, Debbie enjoys spending time with her family and taking long walks. 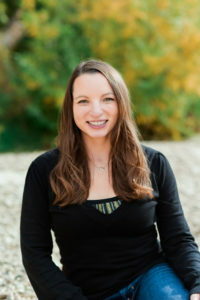 Kylie received a bachelor’s from the University of Montana in 2015 and returned home to Pocatello to complete her master’s degree at Idaho State University in 2017. She happily joined the Speech Tree team shortly after graduation. During her education, she served as UM’s National Student Speech-Language-Hearing Association chapter president and continued as an active member throughout graduate school. She served as a graduate research assistant in Dr. Dan Hudock’s lab at ISU and participated as a student clinician for the Northwest Center for Fluency Disorders’ two-week intensive inter-professional stuttering clinic. Professionally, Kylie is interested in language stimulation, preschool and school-age language, play-based therapy, speech sound disorders, fluency disorders, and inter-professional collaboration. Her goal is to help children build confidence through their communication skills and provide parents with practical ways to integrate speech and language learning opportunities into everyday activities. In her free time, Kylie enjoys playing volleyball and tennis, hiking, attending concerts, trying new recipes, soaking in hot springs, and exploring everything else the Treasure Valley has to offer. Laura received a B.A. from Boise State University in 2010 and her M.S. from Idaho State University in 2015. She was thrilled to join the Speech Tree team upon completing her degree. While earning a degree at ISU, Laura served as the Secretary for the Graduate Student Association, and was an active member of the National Student Speech Language Hearing Association. She was also a counselor at a camp for children who use augmentative and alternative forms of communication. Laura’s professional interests include: augmentative and alternative communication systems, fluency, feeding and swallowing, play-based therapy, language stimulation, and apraxia of speech. Laura believes in targeting functional goals which will make the greatest impacts on families’ lives. She tries to generate practical activities and homework ideas so practice at home can be easily blended into regular activities. Outside of the office, Laura enjoys hiking with her husband and dog, Rizzo, baking, trail running, sporting events, reading, and home improvement projects. She adores children and is passionate about helping them succeed. Lyndsey joined Speech Tree in June of 2016. A proud Pocatello native, she received her master’s degree from Idaho State University in 2015. 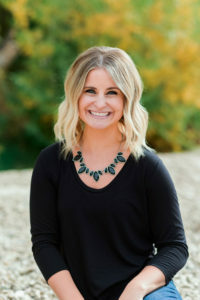 Lyndsey’s professional experience includes pediatric outpatient therapy services and early intervention services through the Idaho Infant Toddler Program to clients with a range of disorders and medical diagnoses. When working with the Infant Toddler Program, Lyndsey had opportunities to collaborate with developmental specialists, occupational therapists, physical therapists, and consultants from the Idaho Educational Services for the Deaf and the Blind. Lyndsey believes in integrating therapeutic strategies into daily routines to facilitate meaningful practice at home. She strives to empower her families by providing them with tools and resources needed to help her clients reach their fullest potential. 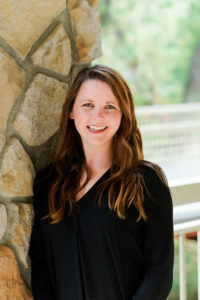 Lyndsey’s professional interests include early intervention, phonology and speech sound disorders, orofacial myofunctional disorders, word retrieval, social language, and interdisciplinary collaboration. In her free time, Lyndsey can be found enjoying time with her loved ones, dancing, improving her cooking skills, and taking her golden retriever, Henley, on adventures. 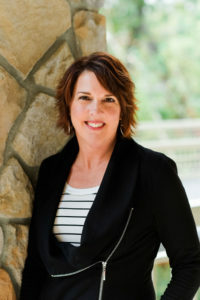 Shari received both her undergraduate and graduate degrees in Speech and Hearing Science from Washington State University. She has worked in a variety of settings, including outpatient hospitals, schools, early intervention programs, and private practice. With more than 27 years working as a speech-language pathologist, Shari has seen a significant trend in decreasing necessary therapy services for children that were once provided through public schools and health care coverage. Shari feels strongly that all children deserve the opportunity to receive the help they need to enable them to communicate clearly. Based on that belief, she started Speech Tree in 2006 as a sole provider. Within a short time, her clinic grew to include multiple therapists and today has two locations. Her philosophy is that children learn best when engaged in fun and rewarding activities. Shari has very high standards for making sure each therapy session maximizes outcomes yet does so in a way that is exciting and fun! This philosophy is carried out by all of our staff, and it shows on the faces of children whom are excited to come to speech therapy. We instill confidence, pride and joy in learning to communicate at your very best potential! Shari feels incredibly lucky every day that she gets to make a significant difference in the lives of children and their families. Recently, a parent turned to Shari during a therapy session and said, “Thank you for helping my son learn how to talk. He can now say ‘I love you mamma.’” There is no greater joy in the world than helping others have a voice. 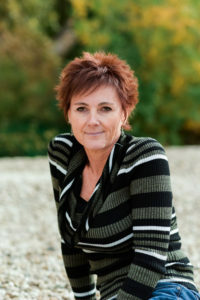 In her free time, Shari can be found riding her mountain bike, skiing at Brundage or Bogus, and riding her horse, Flynt. Erika earned her master’s degree in speech-language pathology from Idaho State University in 2015. While completing graduate school, Erika served as a Graduate Teaching Assistant. She has completed the Sequential Oral Sensory (SOS) Approach to Feeding, which is a holistic and transdisciplinary approach to feeding. Erika has spent most of her career working in home health with a variety of populations from picky eaters to adults recovering from illness or injuries. Populations of special interest include premature babies, picky eaters, dysphagia, brain injuries, stroke recovery, Parkinson’s disease, dementia, and head, neck, and brain cancer. Within the area of stroke recovery, Erika has worked with individuals with aphasia, apraxia, dysarthria, cognitive impairments, and dysphagia. Erika believes strongly in patient-driven, practical goals that will make the biggest impact on activities of daily living. When not at work, Erika is busy chasing her two boys, dog, and cat. She enjoys traveling, hiking, food (but not cooking), and watching sports. She is an avid Boise State fan and loves to host football parties. Shawna joined the Speech Tree team as the Office Manager in July 2015. She graduated from ISU with an A.A.S. 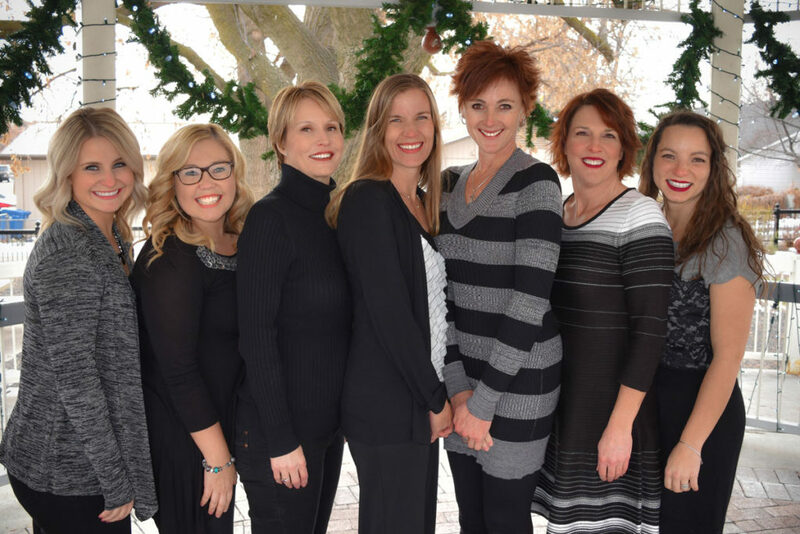 in Health Information Technology and worked for a busy ophthalmologist for three years as a personal assistant and Electronic Health Records coordinator before joining the Speech Tree staff. Shawna is happy to be working with kiddos and their parents again as she spent many years working at North Star Charter School as a paraprofessional and then administrative assistant. She is also very excited to be a part of a team with such brilliant and talented women. Shawna has raised two kiddos of her own and enjoys spending time with them whenever she can. When she is not zipping around town on her Suzuki VStrom, she keeps herself busy spending time with family and friends, working in her yard or baking goodies. We accept all major insurance plans and Medicaid.